Amber commenced her training contract at Coram Children’s Legal Centre in February 2015. Prior to being a trainee, she accepted the role as Streetlaw Manager at BPP Pro Bono Centre. This included delivering and training students to deliver legal presentations to prisons, schools and homeless shelters. She ran the Enterprise project, which focused on giving legal assistance and encouraging young people to start up businesses. Her role also included project managing the Criminal Appeals Project, formerly known as the Innocence Project; having been a student director and caseworker the year previous. 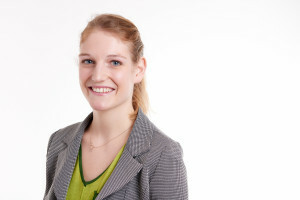 Amber has assisted a variety of Pro Bono Projects both in the UK and South-East Asia. She volunteered with the Personal Support Unit both at the RCJ and CFC, mainly dealing with judicial reviews and family proceedings. She built a case using Article 8 to appeal against the decision to refuse a Ghanaian family leave to remain in the United Kingdom from 2013-2015. Amber completed her Legal Practice Course in 2014 and her Graduate Diploma of Law in 2013 obtaining a distinction in both. She gained her TESOL qualification at the age of 18 before completing her BA Drama degree at the University of Hull. She interned with Legal Services for women and children in Cambodia whilst teaching English at the Australian Centre for Education. She has also worked as an English foreign language teacher in China, Vietnam and the United Kingdom.